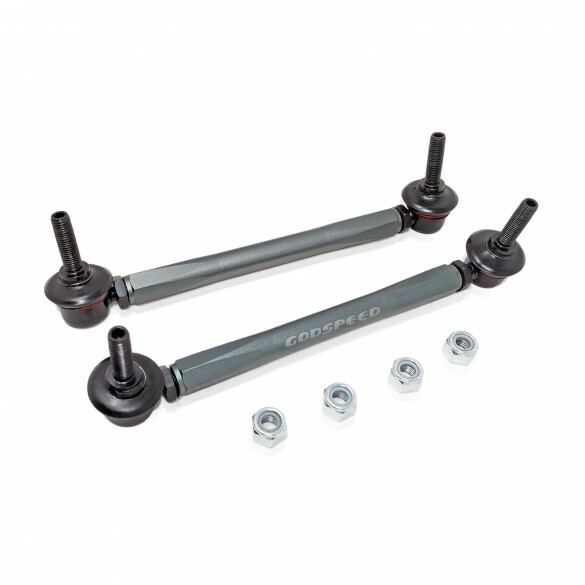 Are you in need of adjustable sway bar links for your lowered vehicle? 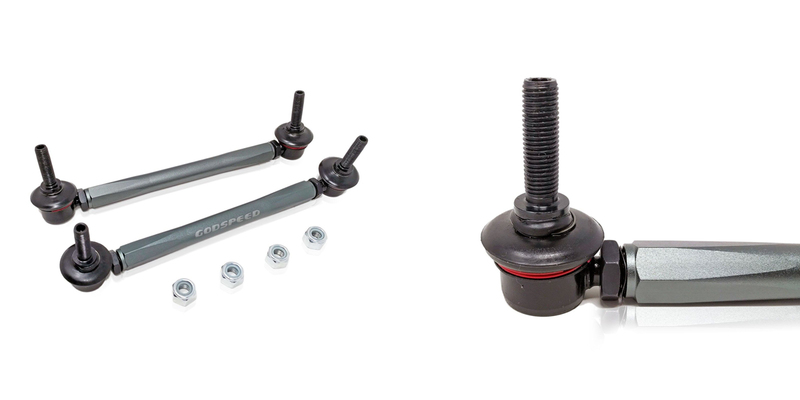 Godspeed Sway Bar Links allow the necessary adjustment you need. 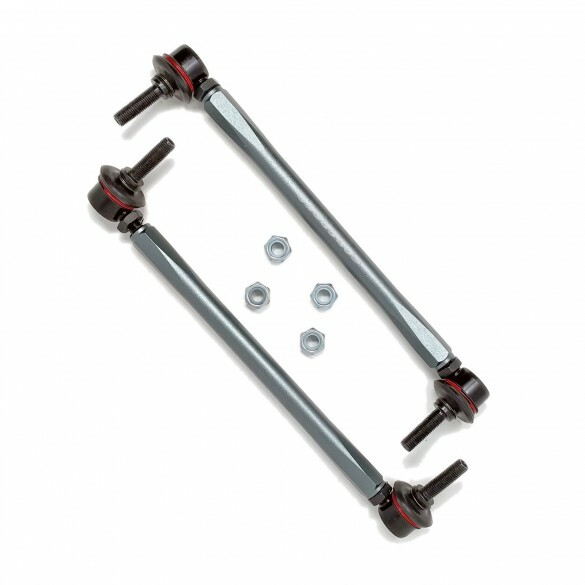 Factory sway bar links are designed for factory ride height. When you lowered your car, it becomes useless due to the length restriction. For instance Godspeed offers these adjustable links to combat those problems when you decided to lower/rise your car and want to keep your sway bar. Made from harden steel alloy to assure durability. Finally our sway bar links provides easy direct replacement installation. In conclusion these sway bar links are an inexpensive solution to a major problem. In other words you can get your sway bar correctly adjusted!